This animal hospital is as good as it gets. The staff is caring, attentive, and professional. I have had the opportunity to work with each of the four vets at Montrose and they are all equally wonderful. Dr. Bondurant masterfully performed ACL surgery on one of dogs. Dr. Agda treated the same dog years later when she developed lung cancer. She treated our dear dog as if she were her own. Dr. Agda is a wonderful conventional veterinarian but also skillful in acupuncture and Chinese herbs, which was a refreshing option for us. She humanely kept our dog alive, with a wonderful quality of life, for much longer than any of us expected. When it was time to finally let her go last week, Dr. Webster was there to help during a very difficult time. Having had dogs and cats for 25+ years, I can honestly say this is the best veterinarian practice I have ever encountered. These are quality, caring folks and I highly recommend them. - Shannon B. Highly impressed. Cared a great deal for our dog, like it was their own. Staff and facilities were very attentive and professional. We have absolutely gotten our money's worth. When my boxer became fatally ill, the veterinarians here where top notch. "Shorts" was 13 years old and well past her prime. Cancer had taken over her body and she was clearly suffering. We did not have the heart to make the drive to put her down at the vet's office. Instead, the vet came to us, and had her put down at our house. I just can't believe that they offer this service. Thank God they came. The injection they gave "Shorts" was quick, and humane. "Shorts" drifted off to sleep and she finally stopped suffering. The veterinarian got really teary eyed and was so compassionate throughout the whole process. She thoroughly explained everything that would happen to "Shorts" and the whole experience, although traumatic for us, was very peaceful. They even thought to send us a sympathy card signed by the whole staff and veterinarians. They cared for "Shorts" her whole life, and I still take my pets there even now. I will never forget their compassion. - Deanna A.
Montrose is amazing. They really care and understand. I wouldn't ever go anywhere else! - Taryn M.
I brought my Siberian Husky as well as my fiance's great dane to be nuetered/spayed. I felt completely comfortable in getting these surgeries although I had been putting them off for quite a while because of nervousness about outcome or pain for my dog. My husky was able to leave the same day and also got nueticles which means he will look the same as before surgery. He came home sleepy and a bit out of it but one day later he is rapidly returning to his old self. 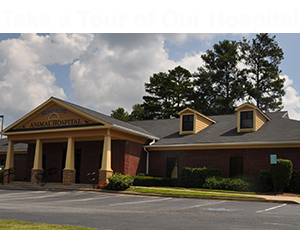 I would definitely recommend Montrose Animal Hospital. - Renee C.